The Ivies could still occasionally put up a fight with the Big Ten in the late 1930's, as you can see by the close score. But what makes this game special is the terrific program cover by W.B. Crocker, who performed the honors for the Bulldog programs for nineteen glorious years. 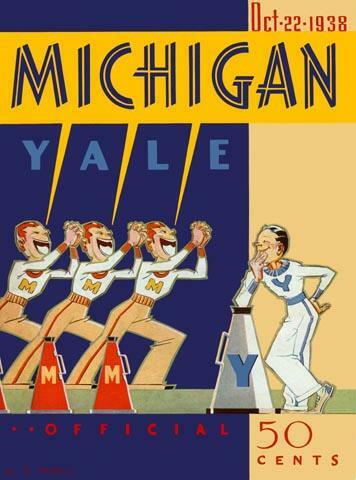 And since this was the only visit of the Wolverines to New Haven in that period, this cover was to be the only one he ever did for Michigan.